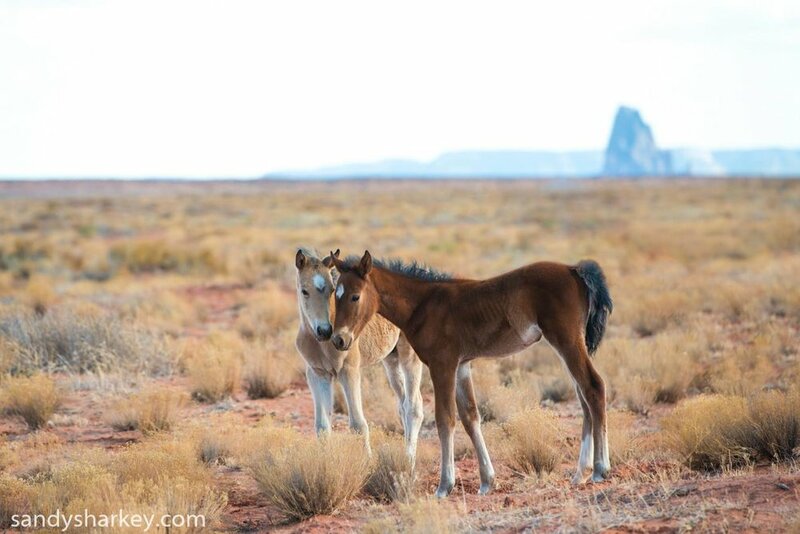 One of the things I love most about traveling to find and photograph wild horses~ is sharing the stories about these magnificent animals. 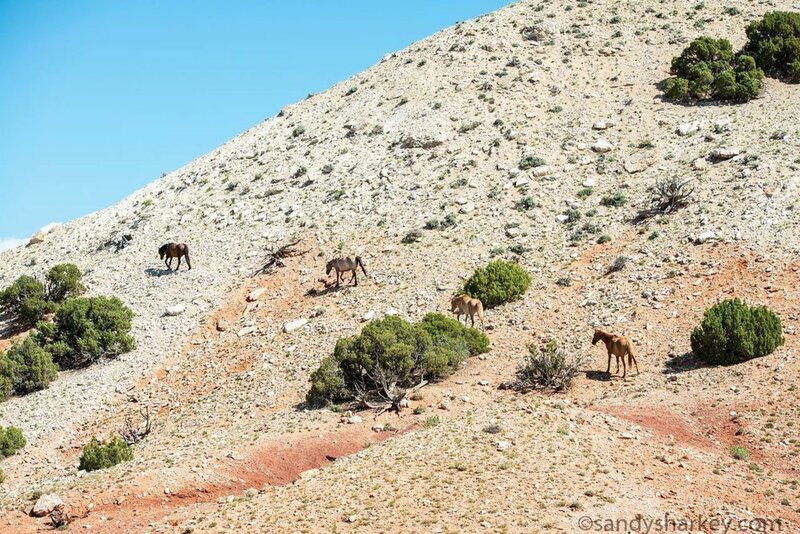 And perhaps most importantly, encouraging people to go out and see the wild horses for themselves. 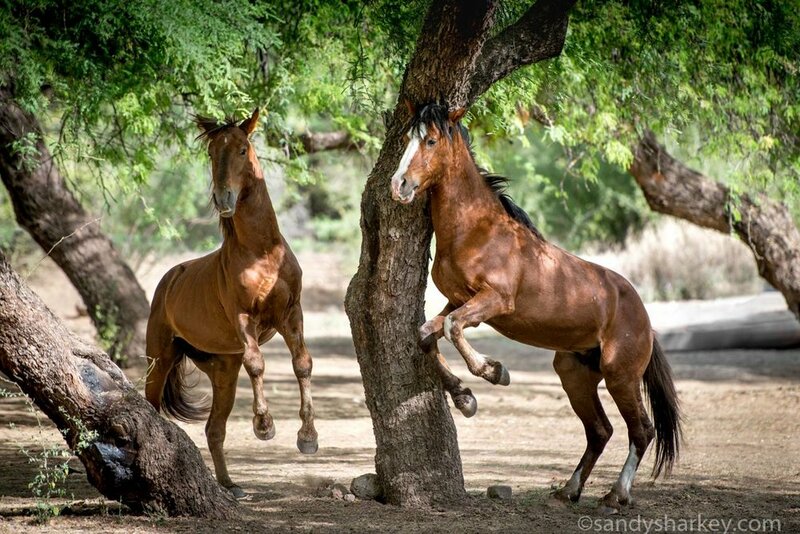 Once you see wild horses in nature, you will be hooked. 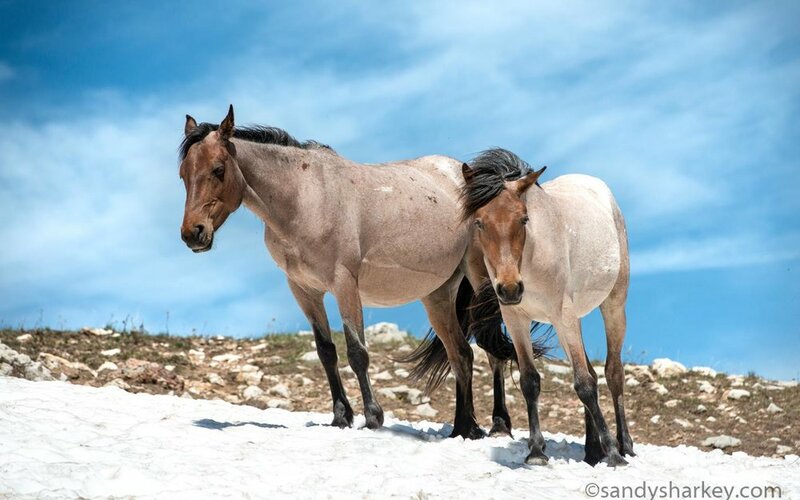 Many people don’t know that beautiful wild horses live in the Rocky Mountain foothills of Alberta, and they are very easy to find. 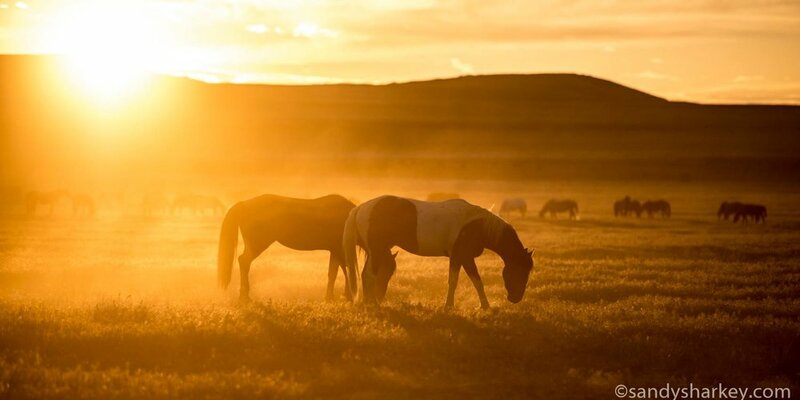 Just two hours north of Calgary, the small town of Sundre is known as the ‘gateway’ to the wild horses. In the Dec/Jan issue of ‘Our Canada’ magazine, you will find my featured story titled ‘Band on the Run’~ how to find the wild horses of Alberta. 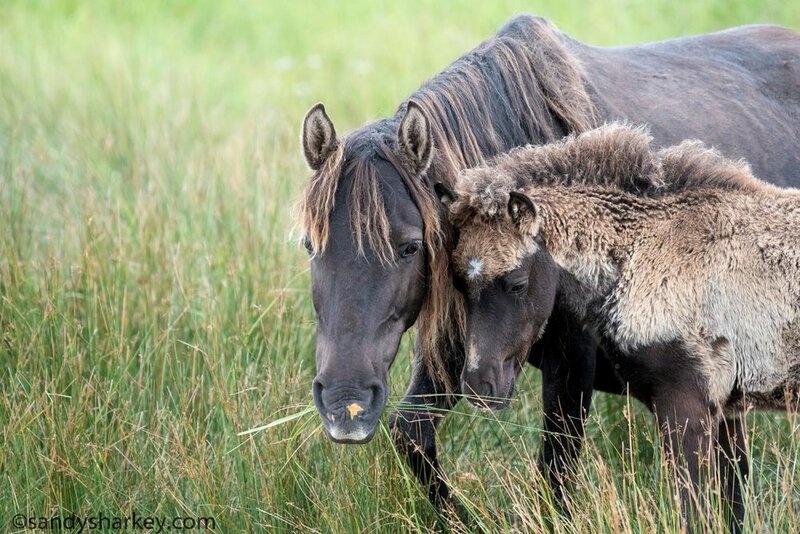 As always, if you would like more information about the wild horses of Alberta, please contact ‘Help Alberta Wildies’. So much fun to be at historic Watson’s Mill in Manotick Ontario for the Christmas Craft Sale! Local craftspeople were displaying their homemade gifts, from candles to candy. 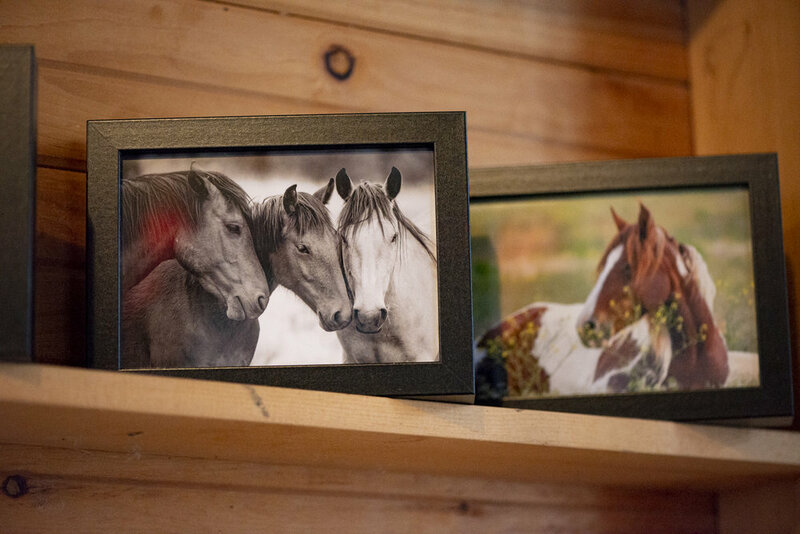 For the first time, I decided to create ‘smallish’ wild horse framed images and cards ~ perfect for stocking stuffers. 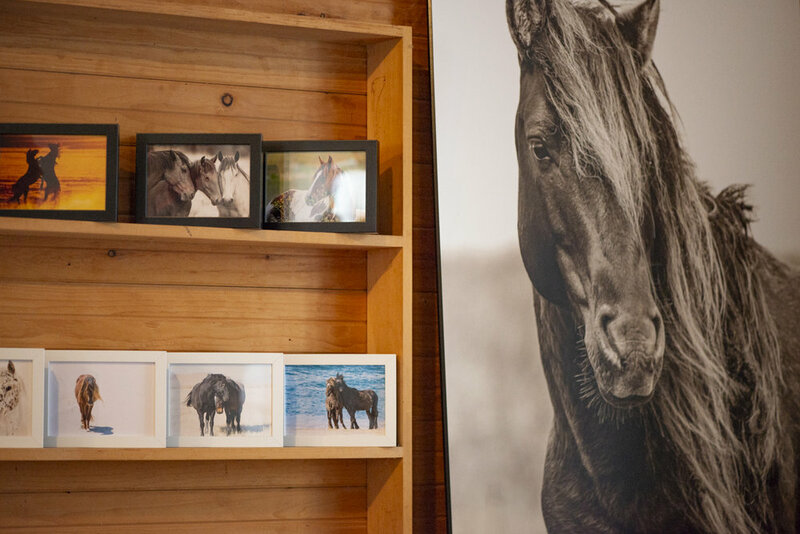 As a wild horse photographer, it’s always a thrill to have my images in a giant size on someone’s wall~ but not everyone has the space ( I live in a small house myself so I get it !) This was a fun way to present my horses for Christmas gift giving! Thank you to all who stopped by! Each fall, a brilliant phenomenon takes place throughout parts of North America. I am fortunate to live in an area where thousands of snow geese descend on local fields to rest and gobble up vegetation during their incredible migration from the Arctic to southern US and Mexico. On this day, there were an estimated 20,000 snow geese near Casselman Ontario. When they take flight, it is so exhilarating! 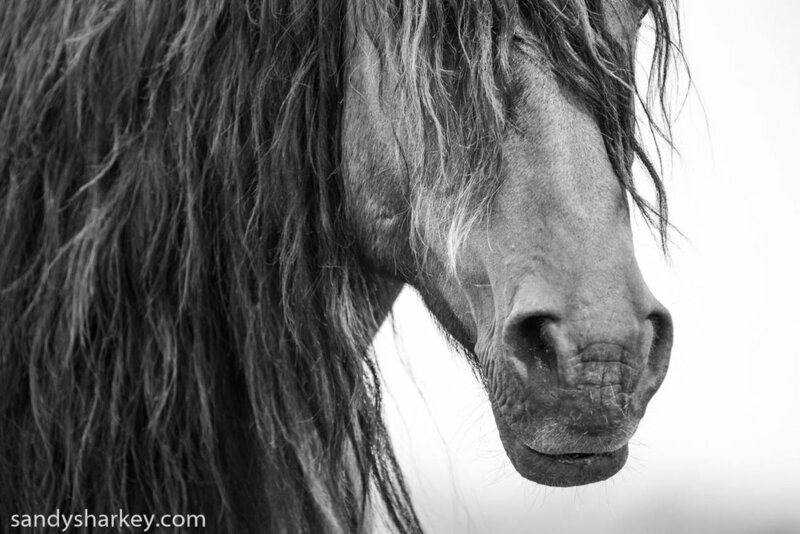 This gorgeous wild stallion on Sable Island had five mares and two foals in his family band. Here he poses proudly with two mares tucked in closely. So beautiful! Because sometimes you just have to post a photo of your dog. This is me and Dude, my Bernese Mountain dog . He is my constant companion and he brings me endless joy. Dude is always in a good mood, and he finds everything hilarious. There’s nothing like the unconditional love between a human and their dog! Great news! 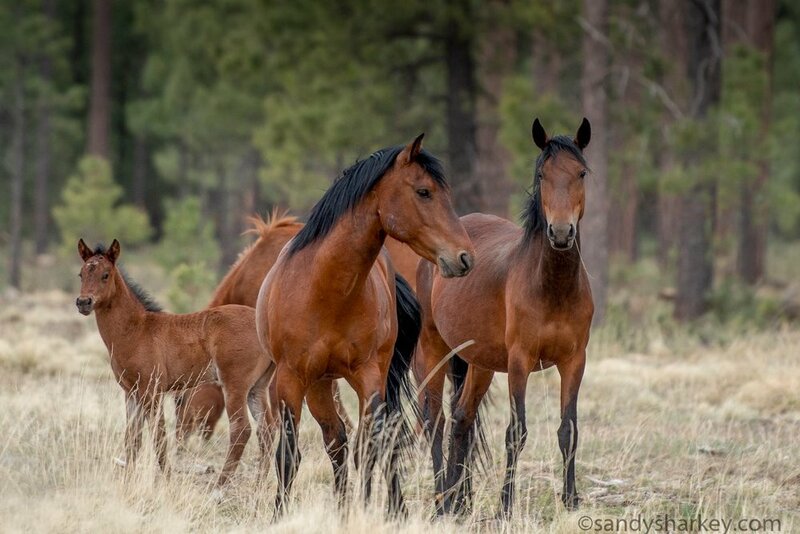 The courts have ruled in favor of the wild horses of Lincoln County New Mexico! 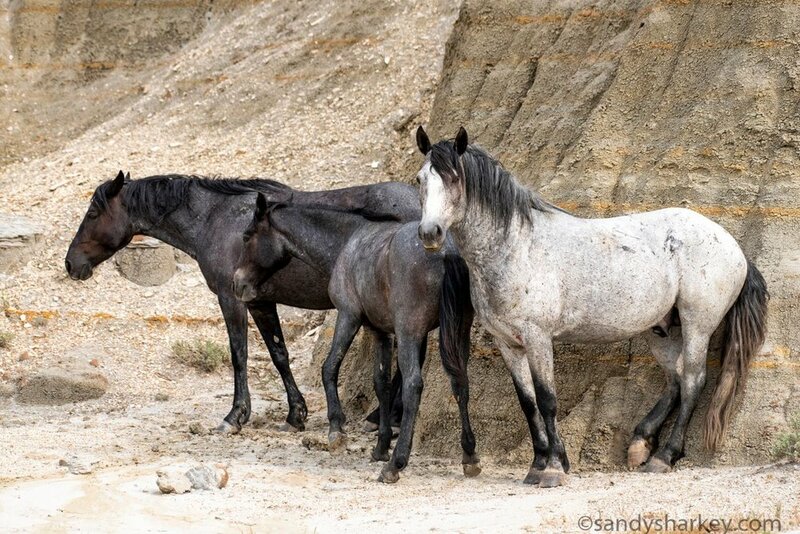 Captured wild horses will be returned to the wild and reunited with their stallion, who has been waiting 2 years and 54 days to see his family again. 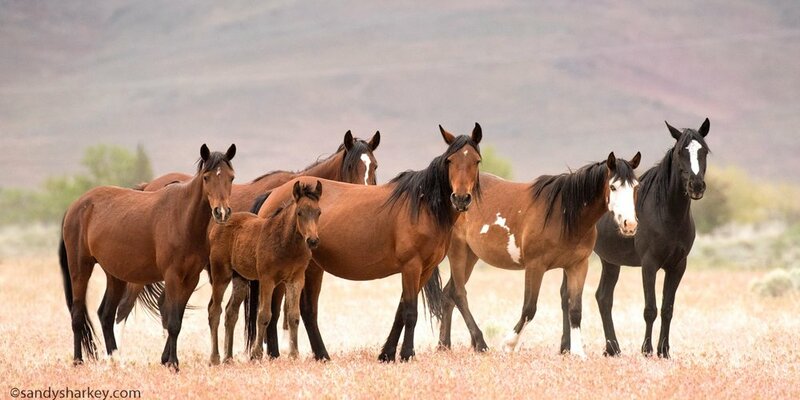 Congrats to all atWild Horse Observers Association - WHOA who fought for their freedom and WON !!! Thank you to Ann Slater for passing along the great news. Yesterday, the world lost an incredible horse. It was 2013 when I first saw the great wild palomino horse Sutter in California. I actually gasped at the sight of him. He was all muscle and gold. His story was just as powerful. At the age of two, Sutter was caught in a horrific roundup and adopted by a person who abused him terribly. 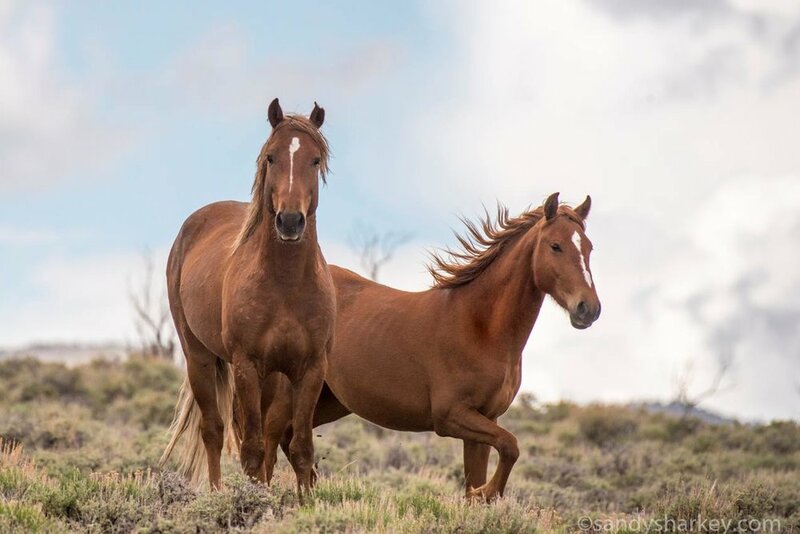 Rescued by Neda DeMayo and Return To Freedom, Wild Horse Conservation, Sutter's gentle disposition responded to kindness and he became a model for compassion and forgiveness. He was especially loved by children who visited the sanctuary just to hug him and feel the velvet on his nose. In 2016, Sutter was named ASPCA' Horse of the Year', and last year he was inducted into the 'Horse Stars Hall of Fame'. The only wild horse to receive these honours. Sutter was an inspiration to us all, with a wild spirit and a huge heart to match. Yesterday, at the age of 32, Sutter passed away. Much love and condolences to Sutter's best friend Neda DeMayo and all at the sanctuary who filled Sutter's days with joy. RIP beautiful Sutter. Run wild and free forever. Happy Thanksgiving Canada! We have so much to be thankful for... beautiful wide open spaces and natural beauty from coast to coast! 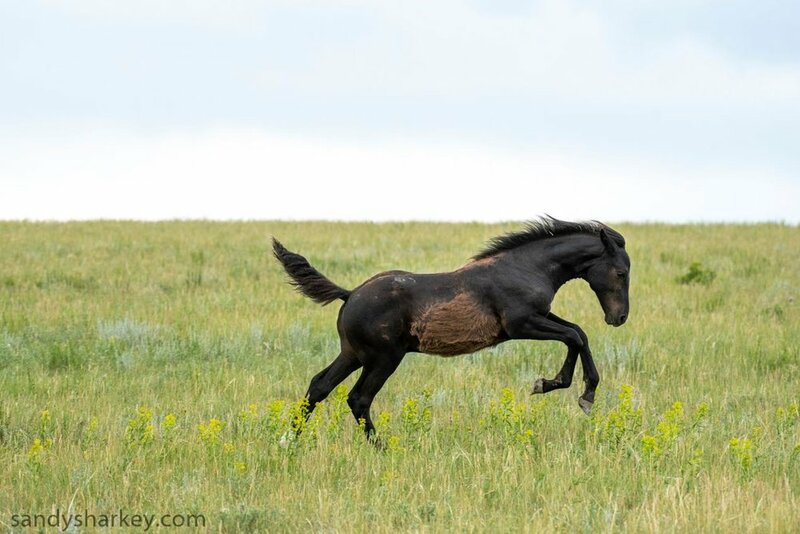 It seems fitting to share this image of beautiful wild stallion, living as free as the wind on Canada's remote Sable Island! 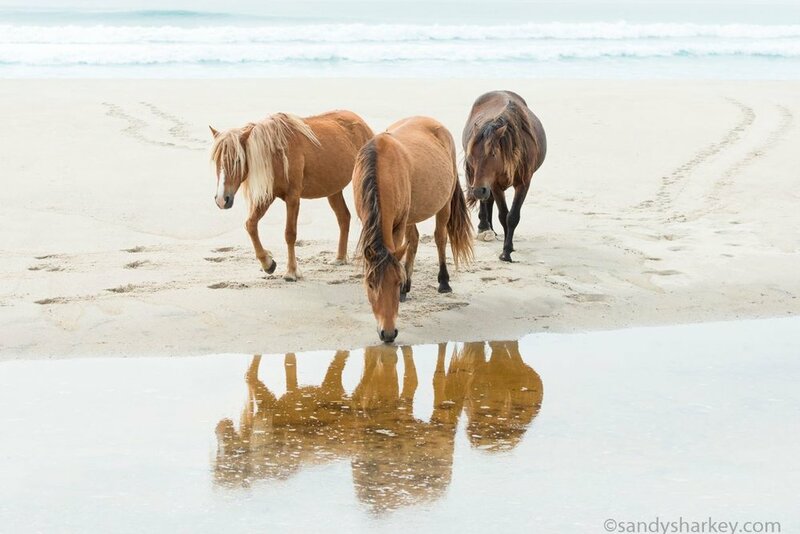 Over 500 wild horses live on Canada's remote Sable Island in the Atlantic Ocean. 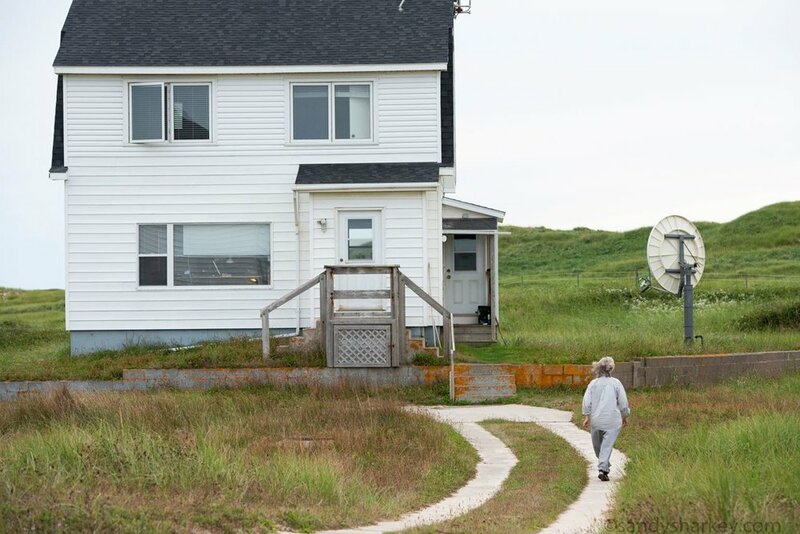 With the exception of one tiny pine tree, there are no trees on the island~ but plenty of driftwood that is carried from the Atlantic Ocean to the beaches. 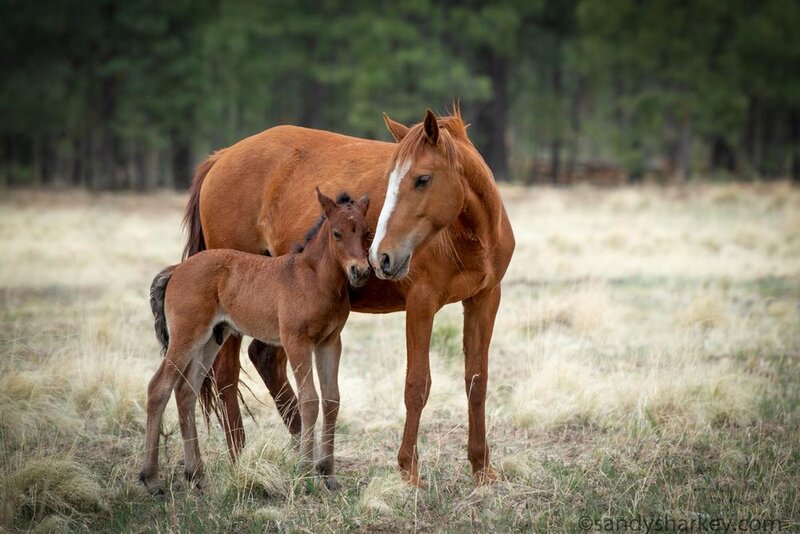 I was thrilled to capture this beautiful moment between a wild stallion and his young son as they snuggled together against an old log. On April 17, 2018 we left our home in Manotick Ontario to drive across North America in search of wild horses. 'We' being my husband Rob, my giant dog Dude, and me. Motor home life was new to us. We definitely pushed the limitations of an RV on mountain passes, gravel roads that lead to nowhere, rocky inclines that crumbled as we gingerly inched along... but somehow we traveled 12,970 miles (20,873 km) through twenty U.S states and 3 Canadian provinces, finding wild horses in 13 distinct areas: Sierra Blanca Mountains (New Mexico), Apache-Sitgreaves National Forest (Arizona) Tonto National Forest/ Salt River (Arizona), Cold Creek (Nevada), Virginia Range/Carson City (Nevada), Pioche (Nevada), Monument Valley (Arizona), Great Basin Desert/Onaqui Mountains (Utah), Sand Wash Basin (Colorado), Bighorn Canyon (Wyoming), Pryor Mountains (Montana), Theodore Roosevelt National Park (North Dakota) and Rocky Mountain foothills, (Alberta Canada). There will be a story forthcoming, with the working title "You Know You're in Trouble When You're Using the Words 'Careen' and 'Cliff''. But for now, here is a collection of some of my favourite wild horse images from all over North America, photographed sometime between April 17th and June 22nd 2018. With massive thanks to my husband for keeping our RV from being airborne, and my dog Dude for always being game to do anything, at anytime, anywhere. 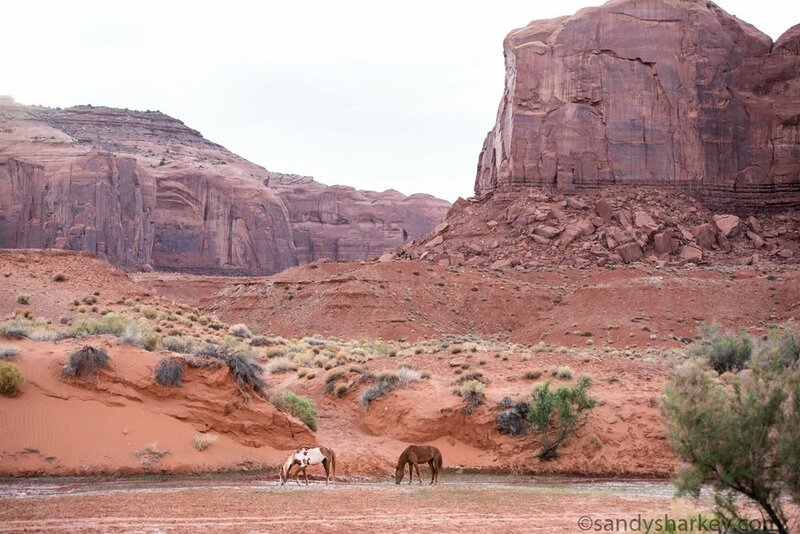 Special thanks to the wild horses who continue to inspire us with their unbridled free spirit. Long may you run. 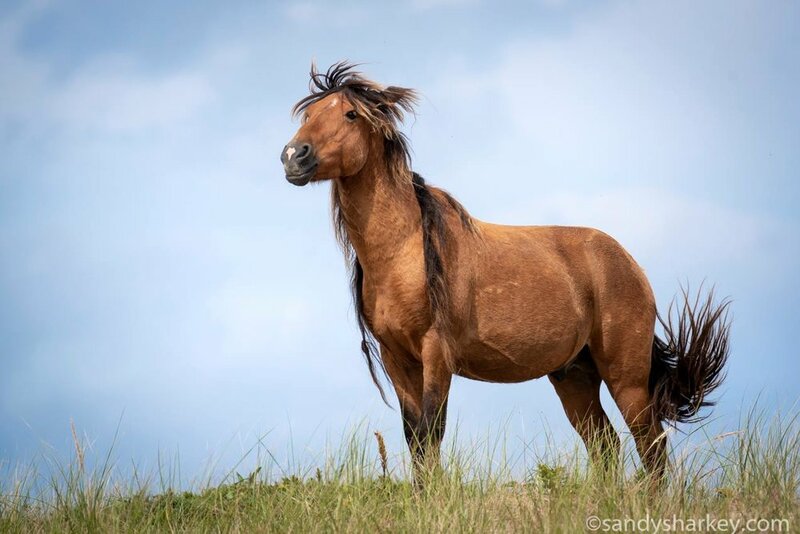 With a mane like this, a slight breeze adds so much drama~ Stallion living wild and free on Canada's remote Sable Island. The wild horses greeted our small group after we landed on the beach on Sable Island... an early sign that this was going to be a very special day! It was picture-perfect. 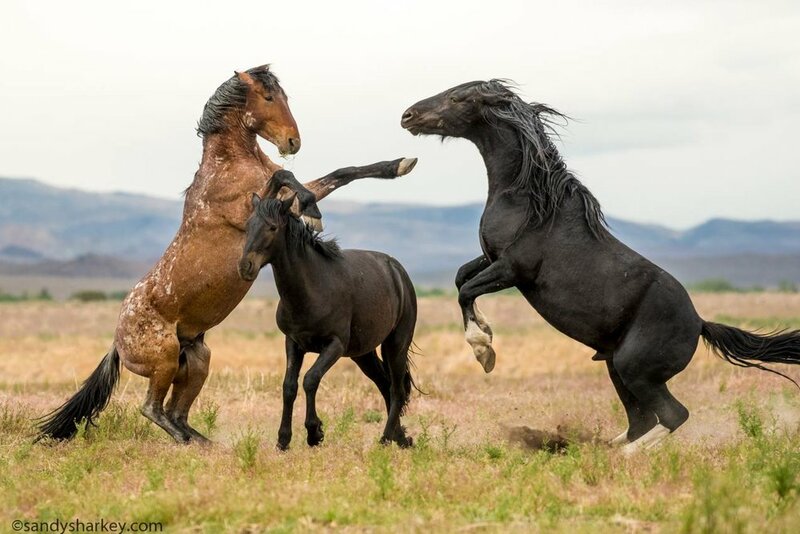 A light breeze, flowers in bloom, and of course the star attraction: gorgeous spirited horses living wild and free in the company of seals and birds! With thanks to Kattuk Expeditions for a truly magical experience we will never forget! 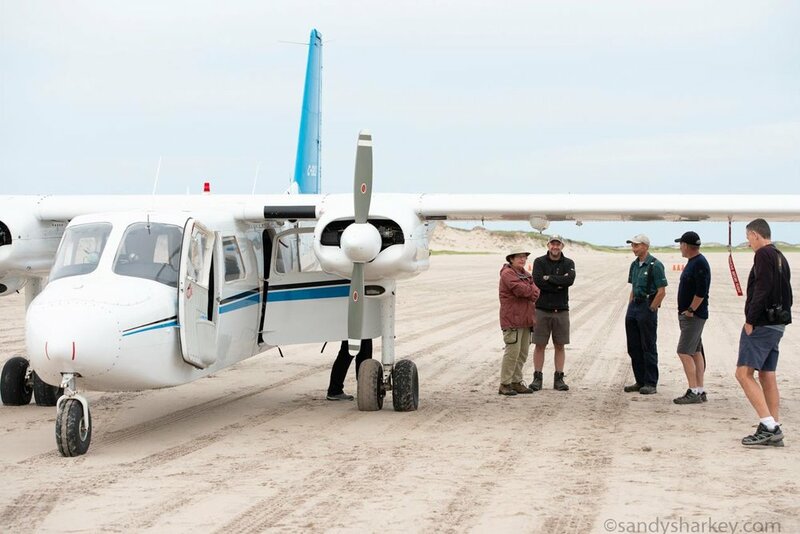 Devon (guide with Kattuk Expeditions) chats with Zoe Lucas, who has lived on Sable Island for almost 30 years. No one knows more about the wild horses than Zoe! Fred Stillman (owner, Kattuk Expeditions) gathers the group for a celebratory toast! 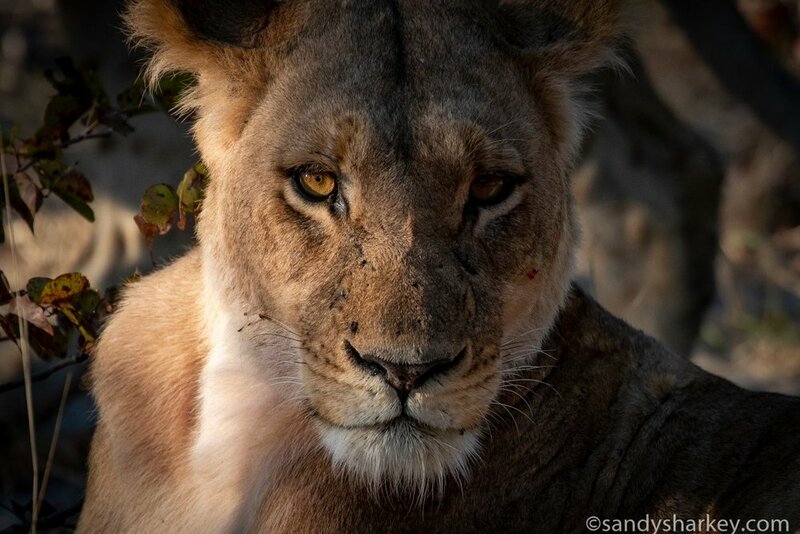 The African country of Botswana banned hunting in 2014 ~ as a result, the wildlife is thriving without fear. That's why I chose Botswana for my first African experience. It is an incredible place. Botswana has more elephants than any other African country~ and given that elephants are so intelligent, they are starting to cross into Botswana because they know they will be safe. This little baby was surrounded by giant parents and relatives who watched over her with tenderness and love.